Polar Bear Insulation Co. Inc. Comment: My condo is old from the 70s and used to be apts. I can hear everything around me and above and below me, drives me nuts. Comment: We are tearing down an existing seasonal cottage and rebuilding a 2000 sqft single family residence. The project will be on pilings and is partially situated over the water. We are looking for sprayed on foam throughout. Comment: Existing garage 24x24 2x4 walls @x6 rafters, ( 2) 9'x 7'7" garage doors , ( 4) 32" x4' Windows. Comment: Remove 1000sf of 20 year old clean r30 batts from a framed floor in a crawl. No rods, just pressure fit. Crawl is on ledge with poly. Clearance ranges from 4 ft to 2 ft. We plan on foaming fdn and floor. Comment: I would like to get an estimate for spray foam insulation quote. Comment: I need an estimate on having spray in insulation installed. Gloucester Insulation Contractors are rated 4.69 out of 5 based on 117 reviews of 8 pros. 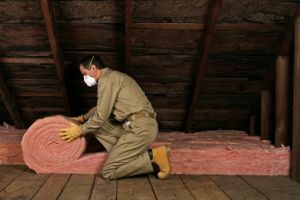 Not Looking for Insulation Contractors in Gloucester, MA?